1 ml of product removes approx. 25,5 mg of Phosphates. 10 - 35 ml per 100 l of water weekly - maximum dose. 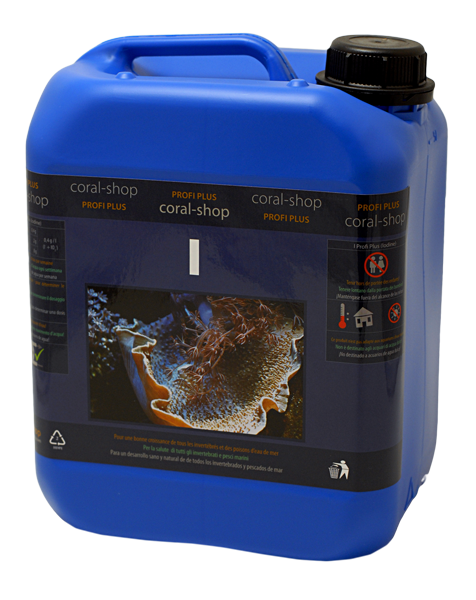 Always use appropriate phosphate test and coral-shop on-line calculator for accurate dosing! Iron-based preparation, designed for instant removal of higher Phosphates concentrations in seawater. Never removes Phosphates completely! Product is primarily intended for highly fish-populated MARINE tanks. When used in REEF tanks, it is necessary to follow the recommended dosage instructions and never exceed maximum daily dose. High-volume single-shot dosing may be life-threatening for some most sensitive coral species. 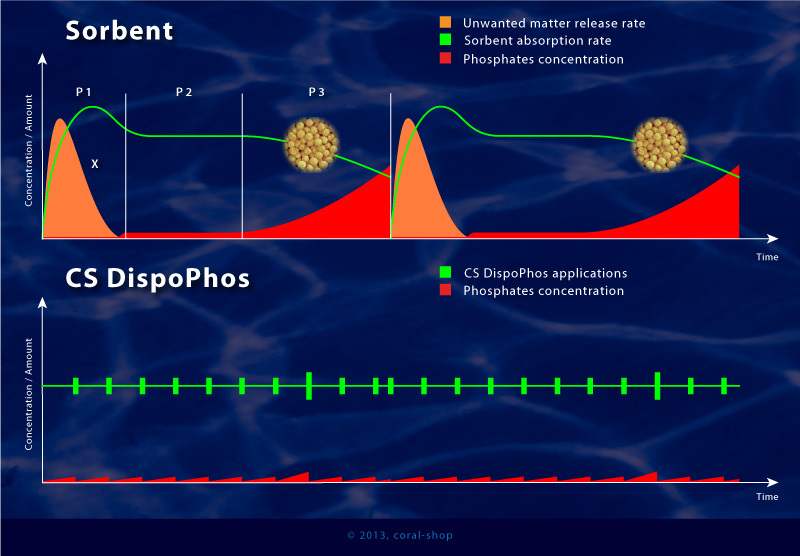 Product active substance reacts with Phosphates forming white precipitate, which subsides at the bottom of the tank and is caught by mechanical pre-filter if tank is quipped with.